Courtesy of The Short Beta. In order for onsight rock climbing competitions to work, climbers must not see their climbs or anyone climbing on them until it’s their turn. In other words, they have to do it without having seen or heard other people’s beta (the sequences and solutions for a particular climb). Competitions achieve this by having athletes check into an isolation area where they have no access to internet connected devices (😱) or people who have even seen the climbs. Here’s the crazy part. For events like USA Climbing’s Youth Regionals, each division can have 30-50 participants, with about 4-6 min of climbing per athlete, which results in some kids getting stuck in Iso for 3-4 hours. A 5 hour isolation is not unheard of. If you have a 8 year old youth D climber, a 5 hour isolation with no parents can be very challenging. Let us be your guide on how to help your kid crusher survive Iso and be ready to climb even after several hours. A rare glimpse into the mysterious world of Iso. Division 2 USAC Youth Bouldering Divisional Finals. BaseCamp Climbing Gym, Reno, NV. January, 2018. 🛑Iso Open/Close Times: With an onsight competition, you usually have an hour window to get to the isolation area. If a climber is one of the first ten climbers to be called, they should aim to get to Iso towards the beginning of the check-in window. If a climber is towards the end of the running order, they do not have to be in Iso immediately. 🕐Call Times: Every climber in an onsight competition climbs at a certain time in the comp. A running order for that competition is usually posted 2-5 days before the day of the comp. On the running order next to climber’s name will be a call time. This is the time that the climber needs to be ready to leave Iso and climb. There will usually be a clock in Iso so that you can keep track of the time. A useful tactic is to write the climber’s call time on their arm with a pen. 🧗Climbing Gear: Check to see of your climber has their climbing shoes, a full chalk bag, and a harness if it is a sport climbing comp. You don’t want to be climbing in a comp with rental gear! Essentials for a sport comp Iso. 🍎Food & Water: Once the Iso running order is released, you will know how long and when your climber will be in isolation. If a climber is only in Iso for an hour, you may only want to bring some light snacks. If a climber is in Iso for more than two hours, or is in Iso around lunchtime, you might want to pack some more substantial snacks or even a full meal. Also, coaches will tell you to give them healthy food, which is good. But don’t give them unfamiliar things they wont eat. Lastly, put it all in sealed containers to keep chalk off your food. 🧥Clothing: Always know when and where you are climbing and what the temps might be like. You don’t want to be wasting energy trying to keep warm. Bring extra layers for warming up and keeping warm between climbs. 📖Reading: If you prefer to find a quiet corner and read, bring a good book. 🚫Banned Electronics: Communication in and out of Iso is always prohibited, because someone could relay pictures of the competition routes for climbers to preview, resulting in an unfair advantage for some climbers. Therefore, basically all electronics with internet connection are not allowed. An iPod without a internet capability is allowed for warming up, but you are forbidden from listening to music while you are climbing the competition routes. I guess this should be obvious, but no walkie talkies, cans on a string, smoke signals, etc. 🧘Mental Game: Everyone’s style of competing is different. Some people need to be actively climbing to be less nervous, others need rest and concentration. In the end, if you’re not sure how to approach it, treat the comp as if it were a regular climbing day and have fun with it. I love dynos, so I try to do some in Iso to get my psyche up. Do what makes you smile, while also being ready for the styles that you find less fun *cough*slab*cough*. 👩‍👧‍👦Buddies: If you have a younger or less experienced kid in Youth D, find them a buddy to hang out with or make sure a coach is going to be there to keep tabs on them. The younger kids get pretty squirrely. 🎒Packing Up: Around 5 min before a climber’s call time, they should pack up their bag. They need to have everything packed by their call time, because once they exit Iso, they are not permitted to re-enter the Iso area. Emily’s TEN Ways to Make Iso Spicy! 1: Just because you’re in isolation doesn’t mean you have to be isolated. WOOOO TEAM! 2: Bring lots of games. 3: Bring lots of food. Uhh, that’s it. I guess it’s only 3 ways to make Iso spicy 😄😄😄Wait I can make four. That’s… interesting. 🤣 Thanks, Emily! Get on the wall from time to time and hang out with friends to keep from getting stressed out. If you make lots of friends at your gym and others then every Iso will be a party! Climbing tape, bandaids, nail clippers, back up climbing shoes, and pen/paper in case you want to take notes if they do a route preview. Why do you climb? can be a tough question to answer. When we asked 10 athletes about what draws them to the rock and ice, their stories were all over the map. 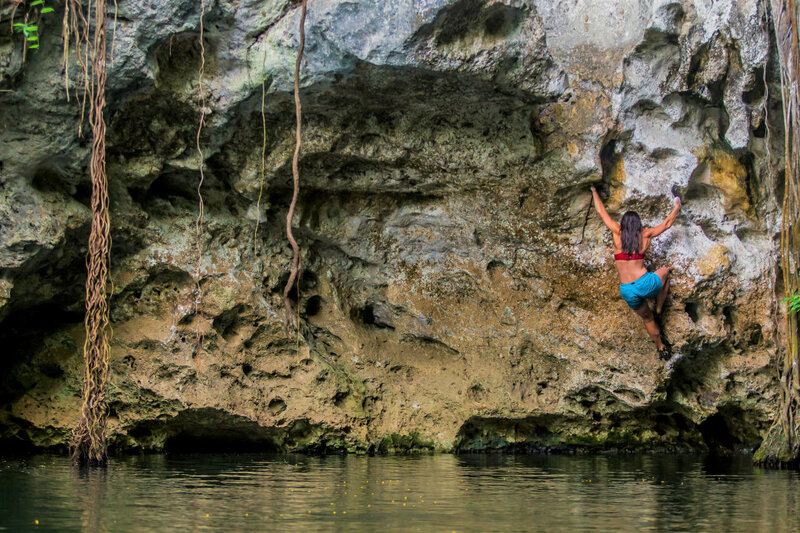 From earliest climbing memories to how the sport helps them balance life with everything else, these climbers told us what inspires them to get after it day after day. Jon Bernhard has been climbing for most of his life, despite having an incurable respiratory disease. Bernhard’s earliest climbing memory takes place at Devil’s Lake State Park in Wisconsin when he was nine. He saw climbers on the east bluffs and was instantly hooked. In fact, he became part of the core group of climbers that put up many of the Lake’s first ascents. Bernhard lives with an incurable respiratory disease that leaves him with about 70% lung function, but he’s still leading 5.11 routes at Indian Creek. His hardest days of climbing, he says, were when he was undergoing three rounds of chemotherapy. Why He Climbs: Today, Bernhard spends time speaking and running programs for pediatric patients. “If my story inspires one kid to reach beyond what they think they can do because of their illness, I’ve done my job,” he says. Charlotte Durif is psyched to climb anywhere with gorgeous lines. When asked about a route she could climb every day and never get sick of, Durif gets psyched. “I can’t think of a particular one,” she says, “I have too many in mind!” Durif climbs hard, but it’s not the grade she’s after. It’s the pure joy of a really aesthetic line. Unsurprisingly, she’s eager to get to the crag most days—she’s even excited, with good partners, to get to the gym. Andrea Szekely entered her first national climbing competition when she was 11 or 12, and has been pushing herself ever since. Szekely has always looked for ways to challenge herself. 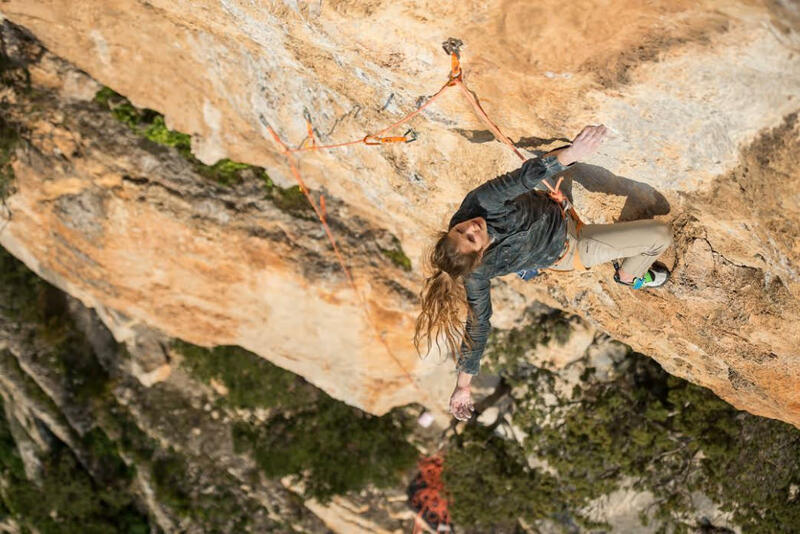 After she sent 5.14b in Spain (having worked out the beta with a broken finger, no less), she turned her sights toward becoming a more well-rounded climber. These days, she’s focused on becoming a stronger boulderer, which meant spending much of her time this fall in Joe’s Valley. 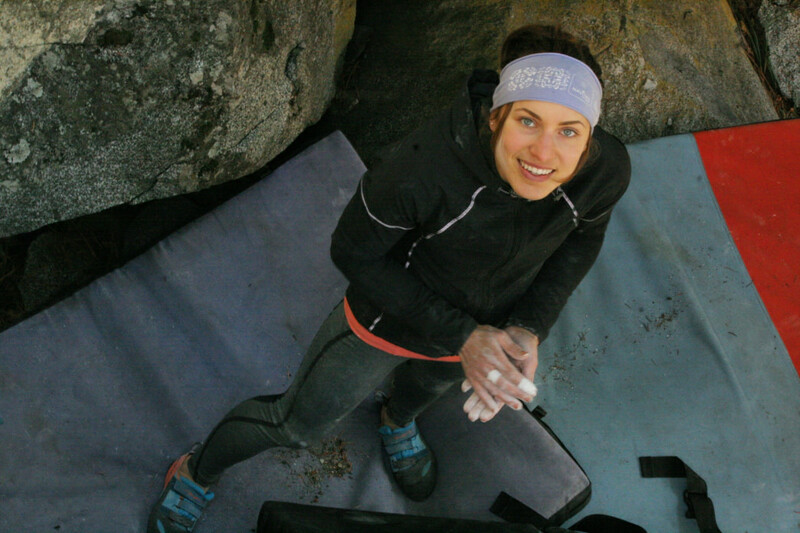 “My goal is to experience as many different types of boulders as possible,” she explains. Why She Climbs:“I love the process,” Szekely says, “I love figuring out the movement, figuring out how to do things.” Every time you get on a new route, she explains, you’re bound to learn something, whether it’s a warmup or your longtime project. 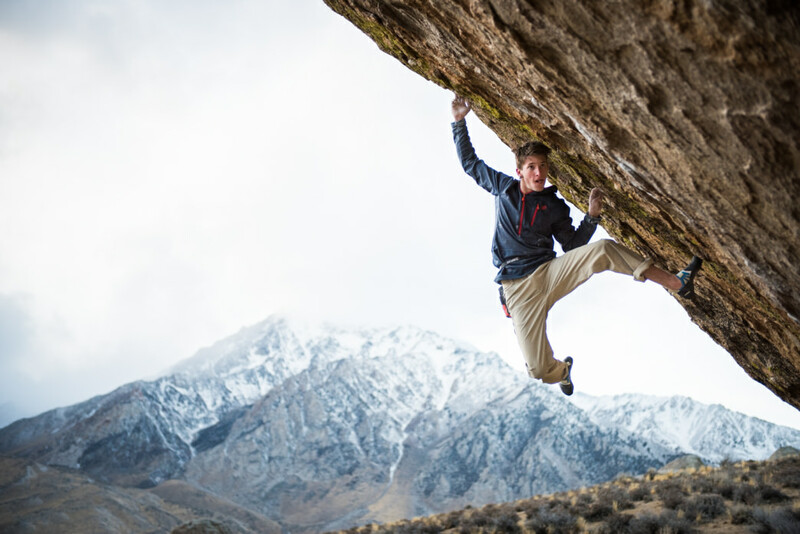 Brad Gobright loves that climbing is both a physical and mental challenge. Gobright has no shortage of talent—or humility. His list of fondest climbing memories reads like most climbers’ lifelong Yosemite Valley bucket lists. 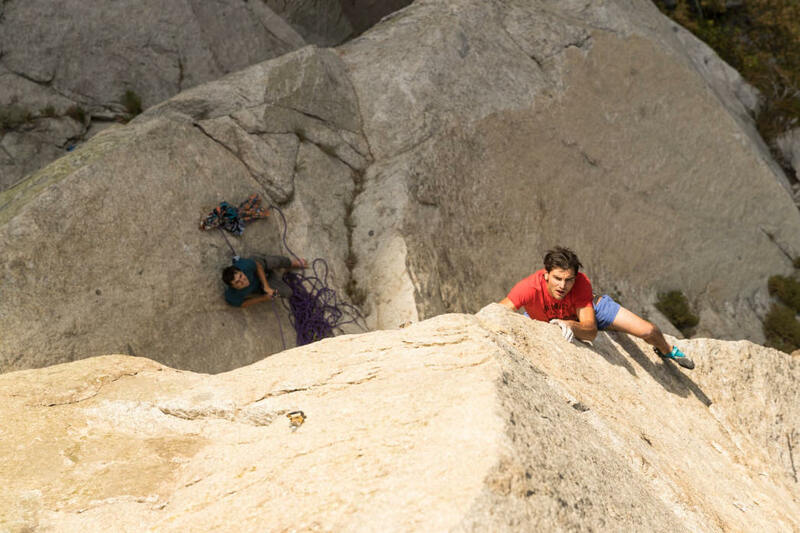 He names free soloing the Rostrum for the first time, free climbing El Cap’s Heart Route in a day (this one ranks among his toughest climbing days, too), and climbing the Nose in under three hours. Ben Hanna bouldering in the Buttermilks in Bishop, California. 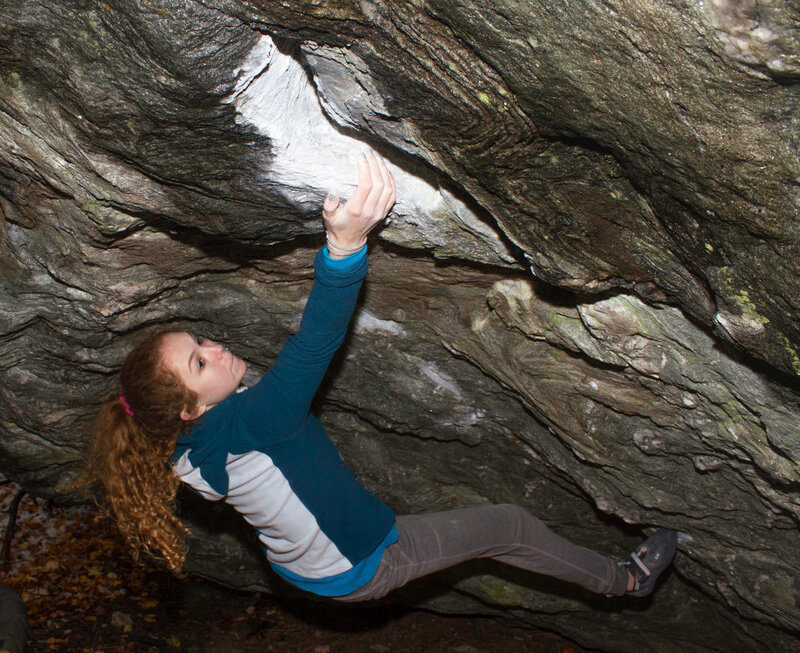 Lily Canavan has always been somewhat of a natural when it comes to climbing. Canavan was introduced to climbing on a teeny rock wall at a friend’s birthday party, and she liked it so much, she had her own tenth birthday party there. She took to it right away: the coach running the party asked her to join a climbing team, and the rest is history. Since then, she’s traveled the world to climb, including a two-week stint in Italy with the U.S. Team for the Youth World Championships. Lisa was a gymnast growing up, but when the gym in her town closed she tried climbing. 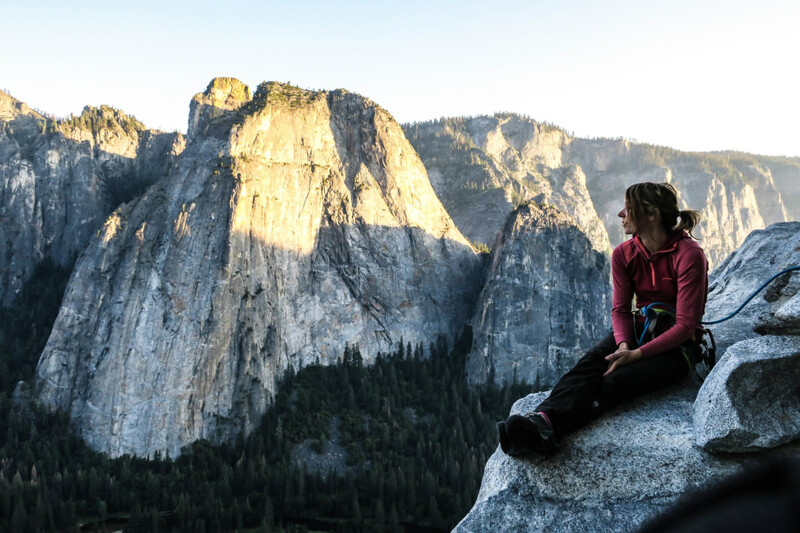 “I live to play,” Chulich says, but she’s got ambitious goals, too: placing in the Top 15 in international competitions in 2017 and racking up some V12 sends. She also sees climbing as a reason to travel and experience new cultures. 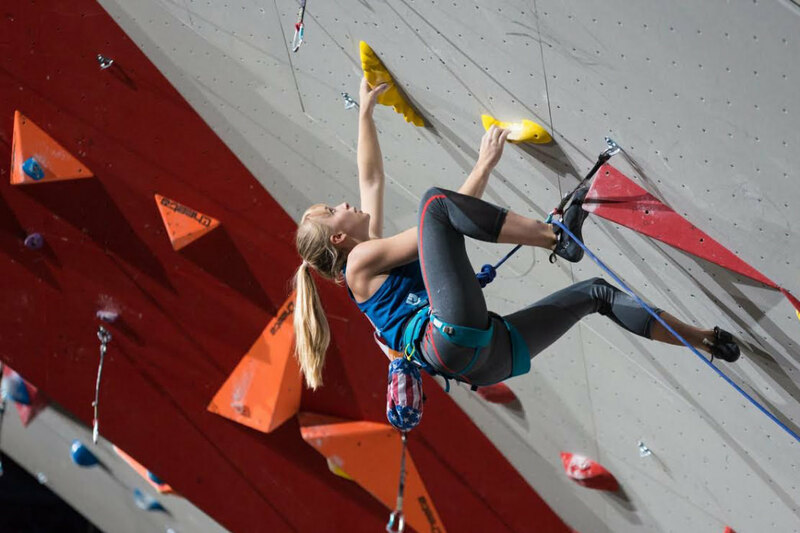 Bimini Horstmann won the 2016 USA Climbing Sport in the Female Youth A category in July. At age 17, Horstmann is already making waves—literally. She was the first woman to climb Twisting Buddha, a deep water solo line in western Massachusetts. 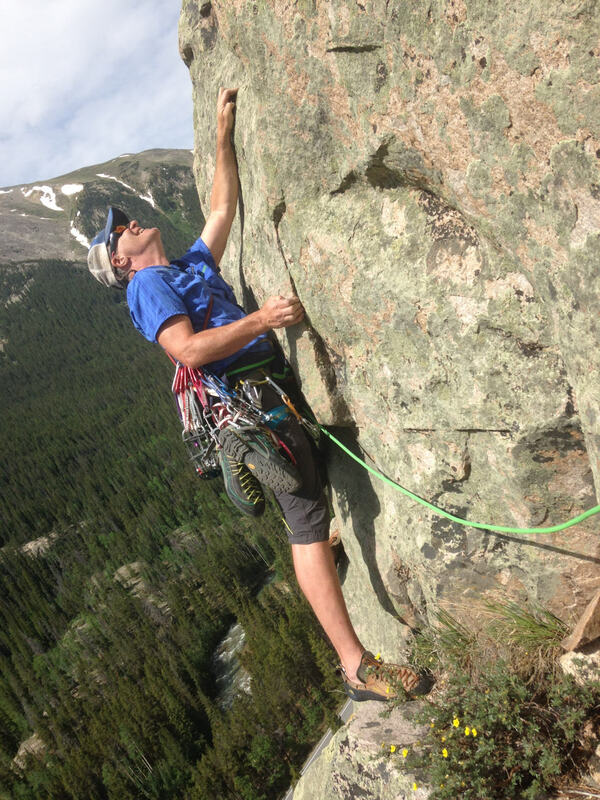 Horstmann is excited to spend more time climbing and training outside, and plans to try ice climbing this winter. She’s got her sights set on a career in environmental conservation, ensuring that wild spaces are protected for future generations. Jenn Flemming not only finds time to climb while working on her PhD, but says it helps keep her balanced. Flemming is an all-around climber with plenty of sport, bouldering, and ice under her belt, though she’s especially drawn to trad climbing because of the incredible and remote places it’s taken her. She’s finding balance not just in climbing, these days, but in life: Flemming is finishing a PhD in Education and International Development, and she describes climbing as an essential counterbalance to that incredible intense work. *_Why She Climbs: *_Climbing is more than a pastime to Flemming. With its demanding physicality, she says, climbing requires us to push beyond our comfort zones, and provides us with endless life lessons. “I think that climbing has, simply but most likely importantly, taught me to be bold,” she says. Josh Larson loves that climbing takes him all over the world to find his next hard send. Larson is hard-pressed to come up with his single fondest climbing memory. 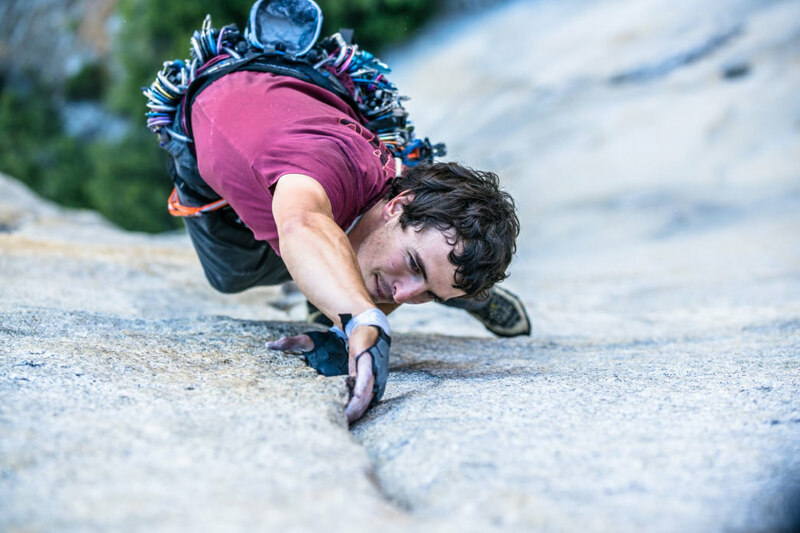 Instead, he says, he remembers most clearly those moments when his brain seems to shut off, “and I’m not anywhere else but moving and climbing.” It’s hard to engage in that kind of pure, climbing-focused energy all the time, Larson says, but when it all comes together, he’s always pleased with the outcome—so much so, in fact, that one of the big goals he’s working toward these days is creating and running a youth climbing team to show kids what that feels like. Why He Climbs: The opportunity to travel to the far corners of the globe, Larson says, is a major draw of climbing. “And,” he says, “the pure joy and happiness I get when I pull onto the wall.” It’s not just places that keep him climbing, though: Larson’s grateful for the incredibly supportive community he’s found. Originally written by RootsRated for Gramicci. 7 of the Best Mountain Bike Trails in L.A. Savvy travelers know that there’s more to Los Angeles than beaches and Hollywood film sets. Though the City of Angels is home to nearly four million people, it’s also central to plenty of green space – even the iconic Hollywood Sign sits in a public park. With all those parks and trails, it’s no surprise that there’s a ton of phenomenal mountain biking near Downtown L.A.
We talked with local MTBers Hans Keifer and Jim Hasenauer, who wrote Where to Bike: Los Angeles Mountain Biking along with Steve Messer and Mark Langton to get the down and dirty on the following seven L.A. rides. Check out their book for more info on rides around LA. Built by the Mt. Wilson Bicycling Association in 1991, the Ken Burton Trail is, to date, the only official trail built by and for mountain bikers in Angeles National Forest. The trail was damaged by the Station Fire in 2009, then reopened after much restoration work in 2015. This 14-mile loop is super close to Downtown L.A., and it gets the climbing out of the way at the beginning, which means the flowy cruise back to the car via the Gabrielino Trail is a blast. Can’t get enough of Angeles National Forest? Stay at The Langham Huntington, Pasadena, Los Angeles, a landmark hotel since 1907 that’s nestled in the foothills just seven miles from the trailhead. 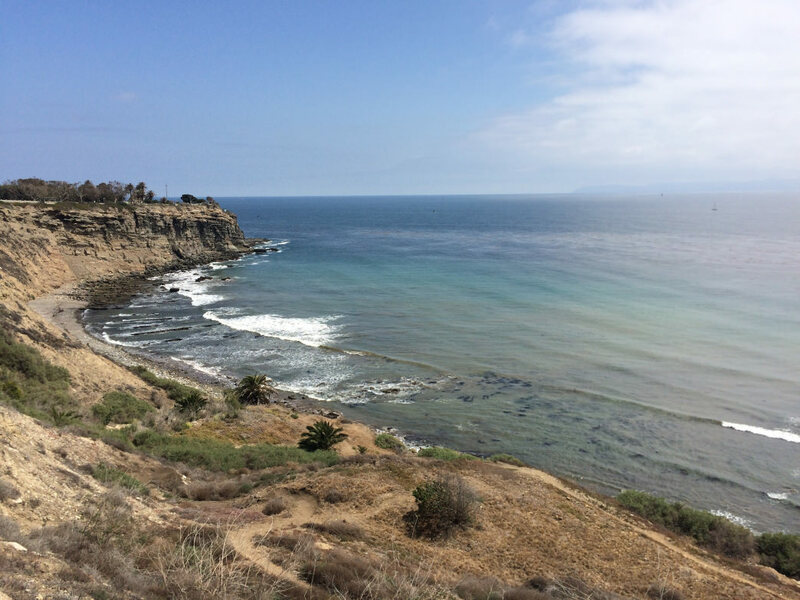 Located within the Palos Verdes Peninsula Land Conservancy, this ride boasts breathtaking ocean views and some interesting challenges. Like many trails near L.A., most of its climbing is on fire roads, and the singletrack descents – which comprise just over half the trail – are steep and relatively technical. You’ll want a map, as some of the trail junctions aren’t marked. The loop is best ridden from the trailhead adjacent to Ladera Linda Community Center, which allows mountain bikers to finish on a descent. This wide-open loop, much of which is on fire roads, begins at the Topanga Creek Outpost. You’ll climb moderate singletrack on the Deer Hill trail, which opens up into a meadow carpeted with wildflowers during the springtime. The highlight is the Mulholland Drive Fire Road, which boasts awe-inspiring views of the San Fernando Valley and the Pacific Ocean, not to mention the gorgeous red canyons of Topanga State Park. Don’t let your guard down: the crux of the route is a technical, rocky waterfall section near the end. The Backbone Trail is a L.A.-area favorite, and it’s easy to see why. The Santa Monica Mountains provide the perfect vantage point for views of Hollywood and the Pacific Ocean. For flowy singletrack and some challenging technical sections, including a few tight turns, the 14-mile out-and-back from Will Rogers State Historic Park to Temescal Ridge and back can’t be beat. Some sections are closed to mountain bikes, so pay close attention to signage. Turn this stellar ride into an even better weekend with a stay at the Hotel Erwin in Venice. Located just a few miles down the road from Will Rogers, it’s the perfect base camp for exploring the Venice Boardwalk and the Santa Monica Pier. Much of the Agoura trail system is on fire roads, but not this ride, which is part of the remote Sheep Corral Trail. While the trails here aren’t super-technical, there’s no cell service for much of this adventurous loop, and you’ll like be the only one out—especially early on a weekday. The initial five-mile climb on the Palo Comado Canyon Trail leads to mostly-flat riding through the valley, and there’s a shortcut to the 12.5-mile loop via the Cheeseboro Canyon Trail. With jaw-dropping views of Calabasas and its surrounding foothills, the New Millennium Trail is a real gem—and, best of all, sees surprisingly little traffic. Though there aren’t many obstacles on this mostly-singletrack ride, it’s a tough one: steep climbs and tight switchbacks mean it requires some skill to navigate. Avoid crossing private property by using the Bark Park Trail and the Grasslands Trail to connect to Malibu Creek State Park. Malibu’s Point Mugu State Park features more than 70 miles of trail, including the switchback-heavy Guadalasca Trail. The trail is 3.2 miles each way, and makes an excellent link-up with the Backbone Downhill Trail. For an unforgettable experience, finish your visit to Point Mugu with a stay at the seaside Malibu Beach Inn. Hike Arches National Park in the winter, and it just may feel like you’re trespassing. The park is open year-round, but the world hasn’t seemed to take notice (yet, anyway). Moab’s locals know there’s no good reason for this lull, but they’re not complaining, either. 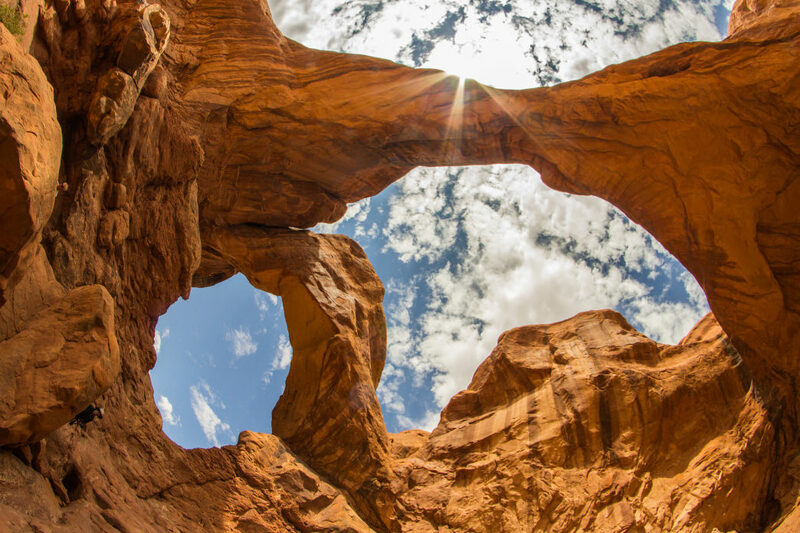 On a sunny day, they’ll be tearing off layers in favor of a T-shirt to better soak up that winter sun.Here, five of the best winter hikes in Arches National Park, adventures sure to be even more unforgettable because you’re likely to have them all to yourself. It’s hard to take a bad picture at this amazing formation. You’ve already seen this arch; you just didn’t think it could be real. The Double Arch provides a backdrop to Indiana Jones in the Last Crusade. It also happens to be one of the park’s easiest hikes, less than 1 mile round trip, along a sandy smooth trail with minimal elevation gain. You can get there in flip-flops. Start with this one and you’ll have plenty of time and energy to venture onwards from there. 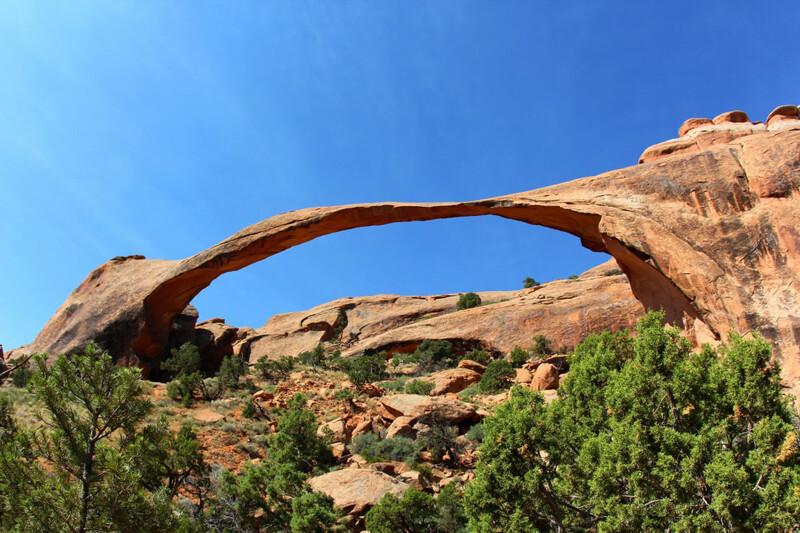 Not to be confused with Jones’ stomping grounds, Double O Arch provides a rare opportunity to stand atop one arch and beneath another. But getting there isn’t easy. Scrambling across these arches requires climbing shoes at the least. Plus, you’ll have to keep an eye on the weather and possible snowfall, as climbing on wet sandstone is not recommended. Sandstone absorbs water, and is delicate and dangerous when wet. This spectacular formation is only six feet wide at one point. You might want to visit this one as soon as possible this winter: It could crumble at any moment. Bridging 290 feet, and only 6 feet at its narrowest point, Landscape Arch is an absolutely ridiculous natural structure. Twice in the last decade, the formation has shed school-bus-sized chunks of rock. Due to entirely reasonable concerns over public safety, the park service has closed the trail that used to travel beneath this arch. The hike out to Landscape Arch is pretty straightforward: only 1.5 miles of flat, well-worn trail. It’s a good choice to tour with family, or friends looking for a less intense day. 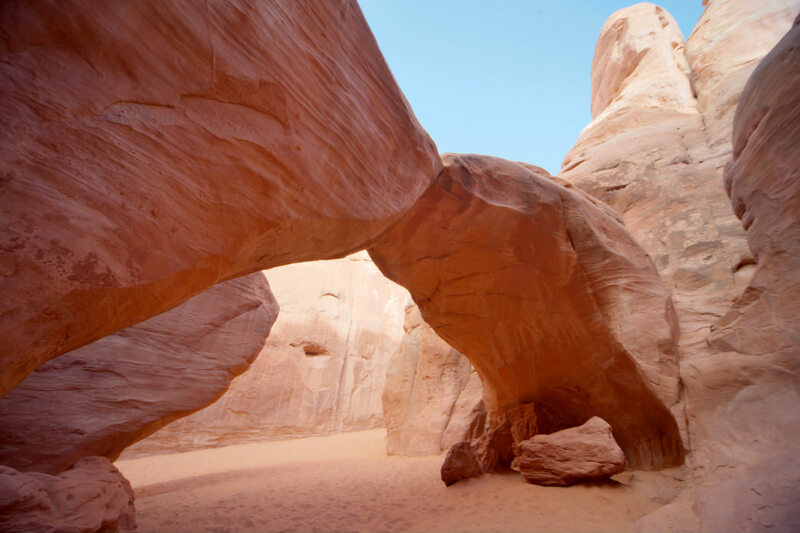 Sand Dunes Arch is always an epic sight, but it’s the journey there that makes it especially unforgettable. While this hike is just half a mile in distance, considering it ordinary would be an understatement. Be prepared to traverse a mini-ocean of red sand that is softer and smoother than anything you’ll find on the beach, east or west coast. Possibly the world’s most famous arch? 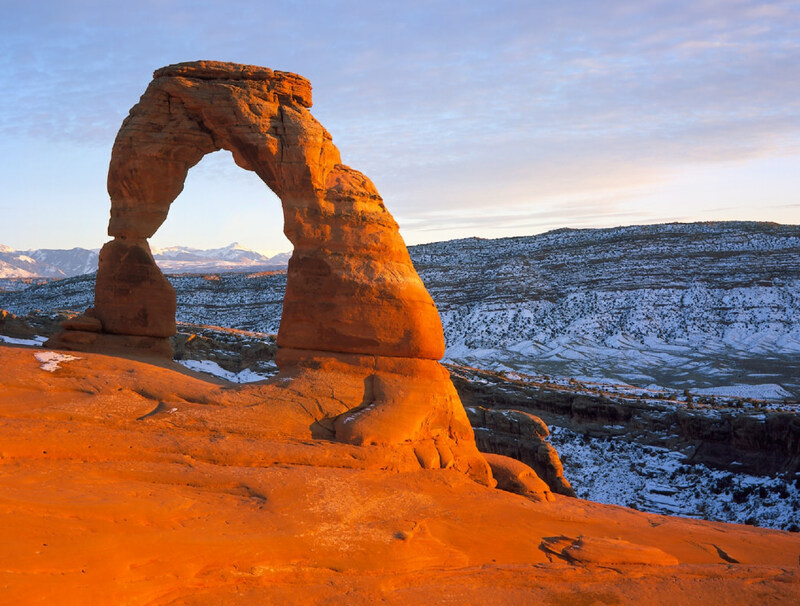 There’s a reason why the Delicate Arch adorns the license plates of Utahans: When it comes to scenery, this most classic of arches is hard to top. But savvy adventurers can improve on the way 99 percent of visitors see it by going in non-summer months. 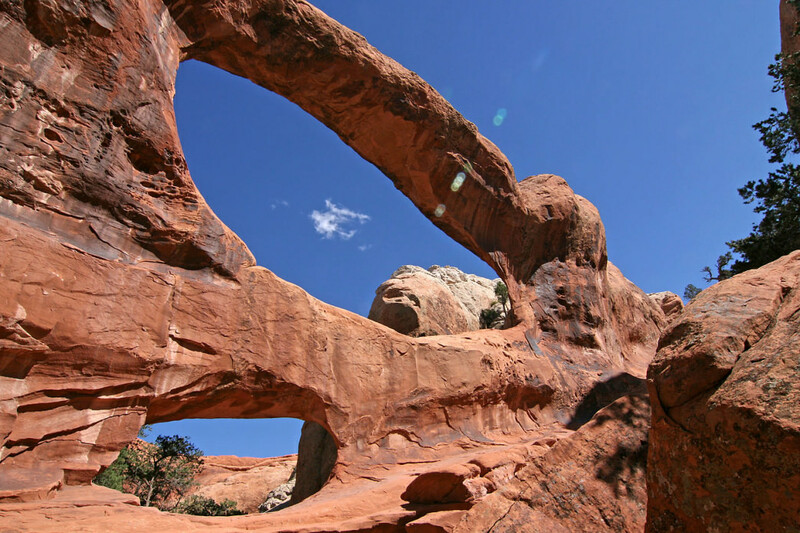 Setting out for this arch in the summer means three long hours of scalding, shadeless hiking. Due to potentially serious dehydration, the completion rate for this hike is probably close to 50 percent for most groups. Come winter, however, and shade is the last thing you’ll be looking for. Instead, focus on the spectacular landscapes, otherworldly formations, and the fact that you just might have one of the most epic spots in the country all to yourself. So, You Want to Go on a Solo Van Trip? Since 1982, Gramicci has been the soulful, free spirited, brand of the outdoor industry for over thirty years. Gramicci is more than just a product, it represents an expression of personal independence and individuality.